Lytham’s Scotty Cardle could get the opportunity to reclaim his old British title against Joe Cordina later this year. Boxing promoter Eddie Hearn has revealed he is planning to match Cardle against the undefeated Welshman on the undercard of Tony Bellew’s mammoth bout against cruiserweight king Oleksandr Usyk. The clash, which will have all four world titles on the line, is due to take place at Manchester Arena on November 10. 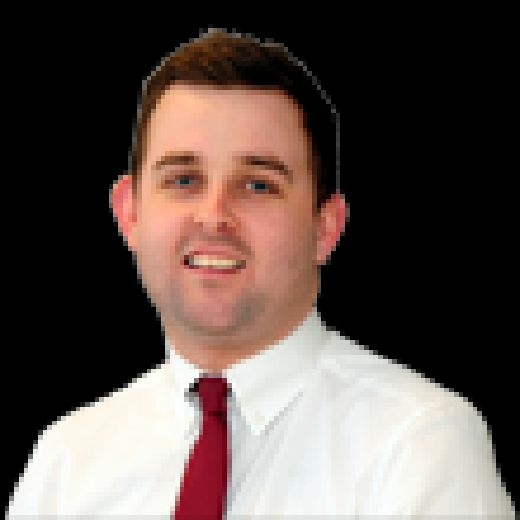 Should Lewis Ritson, the man who beat Cardle in March of this year, win his European title fight in October, then Hearn has confirmed the 24-year-old is likely to vacate his British title. That would pave the way for Cardle and Cordina to challenge for the belt, which Cardle won in convincing style against Craig Evans in 2015. 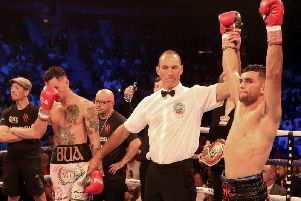 Cardle (23-2-1), who got back to winning ways with a points win over journeyman Michael Mooney in his last fight, told The Gazette last month that Cordina was a man he had his eyes on. “To be fair I welcome that fight with open arms,” he said. “I think it’s a great fight and I feel I know quite a bit about him from my amateur days. I feel like that’s the sort of fight I need to jumpstart my career again. “I need to start building now. I know where I am and people know I am very critical of myself. I’ve got to raise my stock. Should the Cordina fight not come to fruition, Cardle might also consider taking on little-known lightweight Luke Willis. 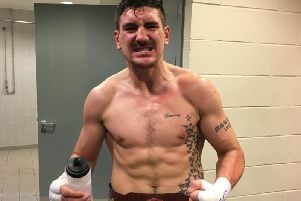 The Liverpool-born boxer, who has won all of his first seven fights, is gunning for some big names as he prepares for his next outing later this month. Willis believes Cardle or his old foe, Sean Dodd, could provide him with the perfect opportunity to make his name. “I’ll fight anyone,” Willis said. “If you’re not in my gym, then you’re not on my team and you’re against me. That’s my attitude. “The fight I’m gunning for though is Sean Dodd or Cardle. They’re the two fighters I really want. I want their scalps on my record. “I’ve got the beating of them and I want to test myself. I want the opportunity and I’m ready for them right now.